Melbourne Renegades have made quite a few changes in their Squad from the previous match. Chris Tremain, Beau Webster, and Jon Holland come into the squad for Jack Wildermuth, Joe Mennie, and Marcus Harris. 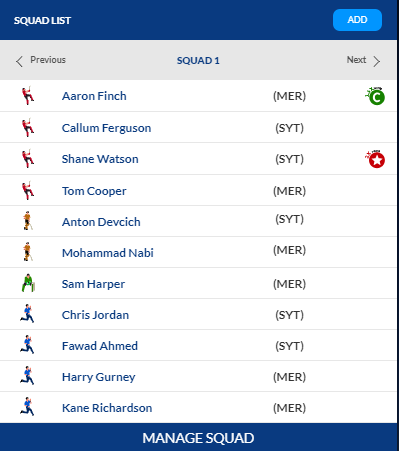 Although they are 3rd in the points table, but they have some issue to address, Their Opening combination hasn’t fired all season, with Marcus Harris joined test squad, Sam Harper/ Cameron White will open the batting along with Aaron Finch who also need to fire if they need to win this contest. Their bowling is their biggest strength this season, Kane Richardson, Nabi, and Harry Gurney are providing them vital breakthrough whenever required so same will be expected in this match. Sydney Thunders have got 2 changes in their 13 men squad, Jason Sangha and Sam Rainbird have come in the squad and likely to play in the XI. Jason Sangha might replace Arjun Nair or Jono Cook and Rainbird may replace Gurinder Sandhu. Watson, who has scored a scintillating century in the previous match, but the floodlight failure in the Stadium, led the game being called off. Daniel Sams has been amazing this season with both bat and ball, and bowling is also quite balanced. The Thunder has won three matches out of four at the venue this year and would be thrilled to come back. Sydney Thunders: Anton Devcich, Shane Watson (c), Callum Ferguson, Jason Sangha, Daniel Sams, Jay Lenton (wk), Chris Green, Chris Jordan, Jonathan Cook, Sam Rainbird, Fawad Ahmed. Melbourne Renegades: Sam Harper (wk), Aaron Finch (c), Tom Cooper, Cameron White, Mohammad Nabi, Beau Webster, Daniel Christian, Cameron Boyce, Jon Holland, Kane Richardson, Harry Gurney. 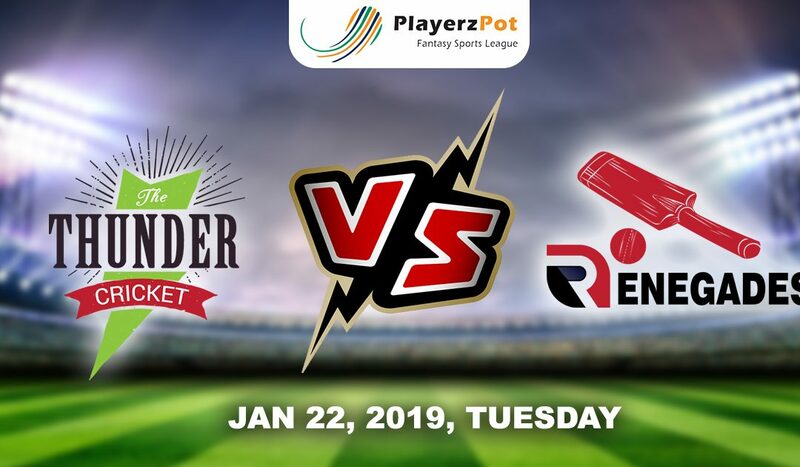 This match will be between Thunders batting and Renegades bowling, but Thunders should win this game as they have winning momentum with them.